The genre-defying industrial project, Circle of Dust, is back with "alt_Machines", a full-length remix album follow-up to the project's 2016 album "Machines of Our Disgrace". "alt_Machines" features official remixes from a wide-ranging collection of artists/producers, including Blue Stalhi, Voicians, Sebastian Komor, The Anix, The Plague, Raizer, 3FORCE, DJ Hidden, and Zeromancer. The album releases June 1st and is available for pre-order now from the independent record label FiXT, with immediate access to the new single, "Dust to Dust" (Zardonic Remix). 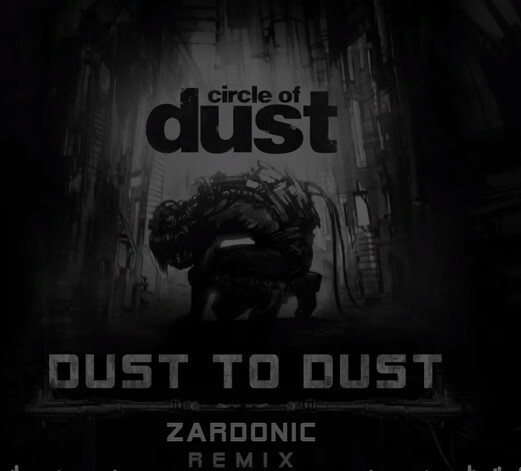 Listen to "Dust to Dust" (Zardonic Remix) HERE.